Intrapreneurship is a lie. So I became a consultant. This post was originally published to my newsletter subscribers (12k of them now). If you’d like to get these updates via email sign up here. I was lucky enough to visit New Zealand in February. 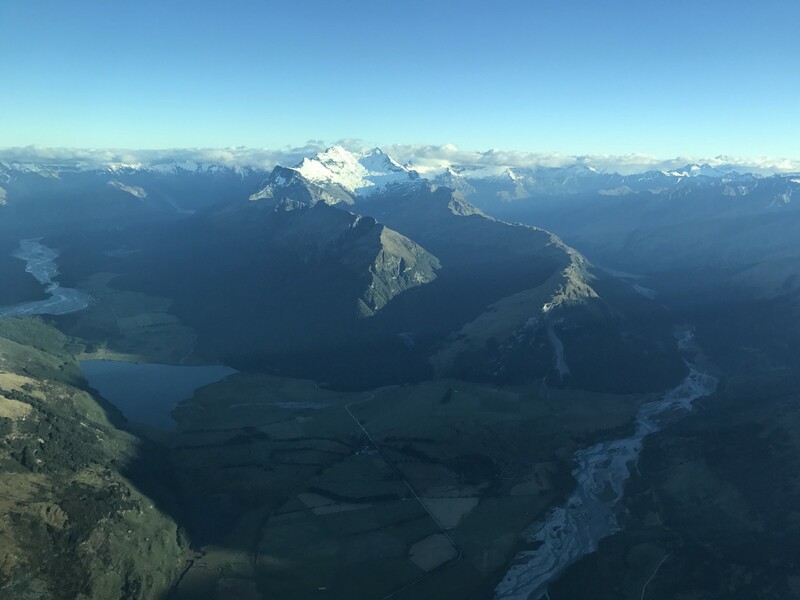 This is a picture I took of the Southern Alps as we flew in the tiniest plane ever to Milford Sound. As the kids like to say, no filter. Heavily influenced by Christensen’s Innovator’s Dilemma the company creates new working facilities to support these new teams. They are separate from the sea of cube farms and outfitted with chromed-out espresso machines, beanbag chairs, endless whiteboards, post-its and Macbook pros. The teams are promised autonomy and empowerment over their work and their process as they begin their journey of ensuring the organization’s relevance in the 21st century. Sounds pretty great right? Except it rarely succeeds. Ownership and incentive structures — Entrepreneurs are motivated to find innovative solutions to large problems. Their incentive is to seed a new idea, nurture and refine it until they find product/market fit. Their motivation does not lie in handing off that idea to a separate team once a particular threshold is hit. Without that ongoing sense of ownership, truly entrepreneurial people are more difficult to motivate. In addition, the promise of an equity stake — i.e., skin in the game — in their idea drives a level of persistence that can’t be matched by the bi-weekly paycheck. So while the entrepreneurial spirit is strong out of the gate, it quickly fades as big-org realities kick in. Productization of successful ideas — What if one of these intrapreneurs does find product/market fit? What happens next? If you’re a startup you’d likely secure a round of financing, staff up and continue to scale the company. In-house entrepreneurs have to hand their work to “IT” to integrate, implement and scale. Unfortunately, IT has other priorities they’re already committed to not to mention none of the momentum or shared understanding of the intrapreneurial “founding team” that started the initiative. Many of these ideas don’t survive this transition. External influence always trumps internal opinion — Finally, and perhaps the most common reason intrapreneurs jump ship is influence. They were hired to be disruptive, to drive a new direction and to use their unique set of skills and charisma to shift the organization and its culture. It turns out though that once you get that company.com email address the sheen wears off. Our intrepid intrapreneurs go on roadshows, demo tours and hold internal workshops to try and move the organization forward only to hit brick wall after brick wall. Meanwhile, the same leadership teams that hired them are now bringing in outside consultants who teach and say the exact same things they’ve been pushing for months internally. Yet, somehow, the consultant has more impact in 3 days than they’ve had in 3 months. This is usually the final straw. As much as organizations want to hire talented, entrepreneurial people and as much as those people find global impact appealing, there will never be a way for the kind of results both seek to be achieved unless large companies can make the cultural shift to spread innovative thinking throughout the company while finding ways to reward this work in a way that retains top talent. 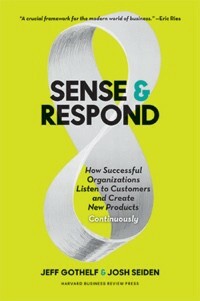 Sense & Respond is now shipping with some great feedback so far over on Amazon. This book lays out, in a rich set of case studies, the principles for the next century of work. If you like the material in this newsletter, you’ll love the material in the book. Once you’ve had a chance to read it we’d be grateful for your reviews on Amazon. European book tour! We’ll be in Norway (Tromsø), Lisbon, London, Copenhagen and Madrid at the end of this month. All the details are here. Research Archive Made Public: Did you hear? Josh and I made our book research archive publicly available. Head on over here and find over 1000 links to primary and secondary research we collected over the 2 years we spent writing Sense & Respond. As always, if you want me to work directly with your company on training, coaching or workshops on the topics of organizational agility, digital transformation, product discovery and agile leadership, don’t hesitate to reach out.